INBIT is also glad to announce the publication series “Current Issues in Medical Technology”, consisting of translations of the World Health Organization’s (WHO) publications from its Medical Device Technical Series. 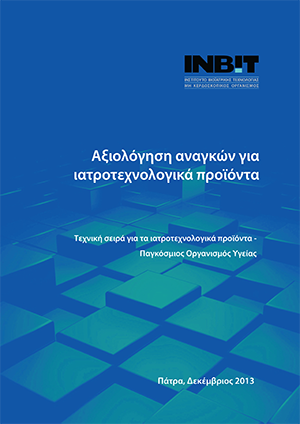 Recognizing the criticalness of all issues related to Medical Technology, INBIT has undertaken to translate in Greek a number of selected publications in agreement with the WHO. 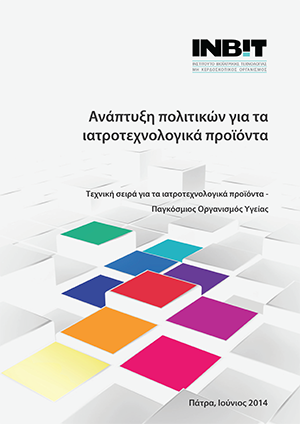 This initiative deemed appropriate, since the content of these documents will largely contribute to a more reliable and complete information of all stakeholders of the healthcare sector in Greece. The first four translations have already been published, while new ones will be available soon. It is worth mentioning that during the last years the WHO makes a systematic effort to promote all critical issues pertaining to health technologies, i.e. procurement, management, assessment, regulations and policies. The publication of these documents constitutes a significant part of the WHO’s action. Below, you will find the first four translations by INBIT in Greek, already published in hard copy. The publications have also been uploaded on the WHO website. You can either download them in pdf format, or you can navigate to the official WHO website. 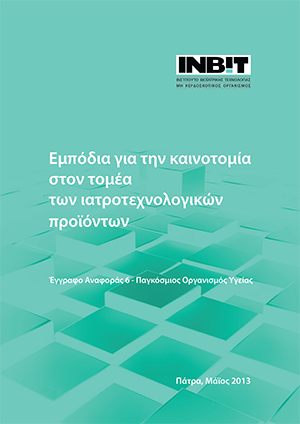 has recently published the study on: Rationalizing distribution and utilization of high value capital medical equipment in Greece, mainly performed and drafted by the Institute of Biomedical Technology.